It is finished to highlight the natural beauty of this unique Australian Eucalyptus didgeridoo. Being a shorter didgeridoo, it's easy to carry around, light weight and easy to play. 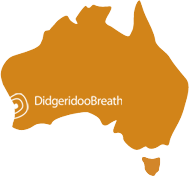 This didgeridoo also plays at the higher end of the didgeridoo sound range. 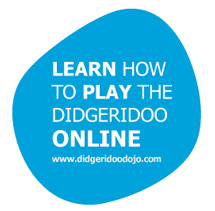 It's a great didgeridoo to start on, for a gift, or for the travelling didgeridoo player. We ship this didgeridoo to you with Worldwide Air Express. It takes around 3 to 5 working days to arrive and costs $59 AUD. We get this special rate as we send many didgeridoos and it's even cheaper than slower regular mail.